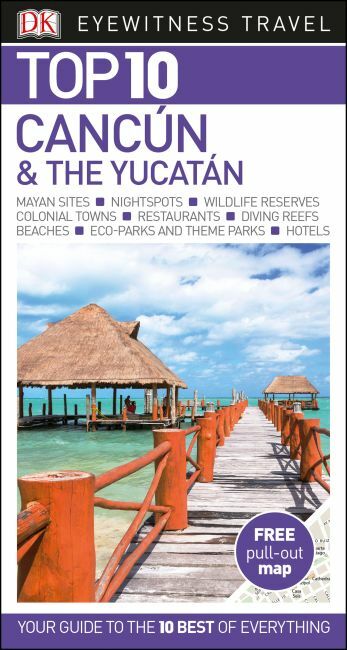 An unbeatable, pocket-sized guide to Cancún and the Yucatan, packed with insider tips and ideas, colour maps, top 10 lists, and a laminated pull-out map - all designed to help you see the very best of Cancún and the Yucatan. Discover dazzling coral reefs at the island of Cozumel, enjoy miles of white sand on stunning Cancún beach, explore dramatic Mayan archaeological sites at Chichén Itzá and Uxmal, or wander colonnaded squares in delightful Mérída. From Top 10 colonial towns to the Top 10 wildlife reserves - discover the best of Cancún and the Yucatan with this easy-to-use travel guide. Staying for longer as part of a bigger trip to Mexico? Try our DK Eyewitness Travel Guide Mexico.